The loss of your teeth impacts everything from your nutrition and speech to your facial profile and self-confidence. While we strive to preserve natural teeth if at all possible, there will always be situations that require removing them to restore optimal health and reducing the spread of disease. Thankfully, full and partial dentures are an efficient and predictable way to replace all of your missing teeth at one time. Denture fabrication processes require great attention to detail. Our ultimate goal at A Supa Smile, is to create a prosthesis that will sit securely in place, fit comfortably and reflect an aesthetic appearance that you feel happy with. If you have any healthy teeth that can be retained, we will suggest a partial denture that snaps into place around them. Partials take up less space in the mouth as they only replace the specific teeth that are missing. A full denture replaces all of them (meaning that any remaining teeth will have to be extracted). The overall process takes just a couple of weeks to complete. 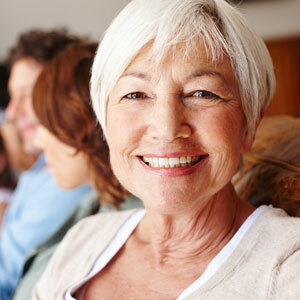 In some situations, we can arrange to have your dentures ready to deliver on the same-day as any extractions. Immediate dentures will require some adjustments after your mouth has fully healed but they prevent you from going without teeth between appointments. Book a consultation with our team to find out which type of denture or other restorative prosthesis is best for your needs. Same-day appointments are available and we’re open late. Contact us now to schedule a visit.